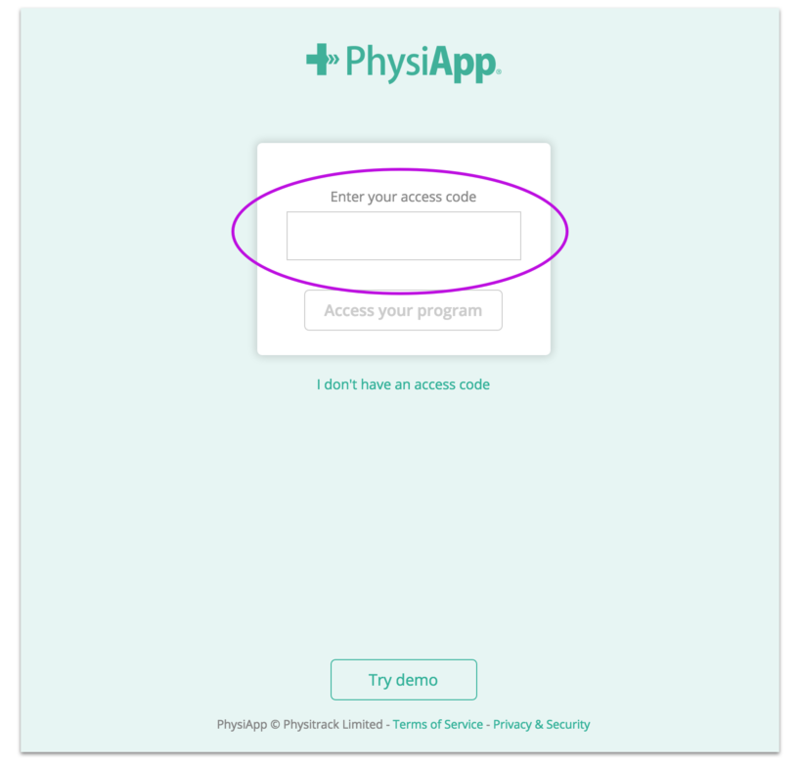 Enter your access code in the box circled below. As soon as you have entered 6 characters, the "Access your program" button will become clickable. 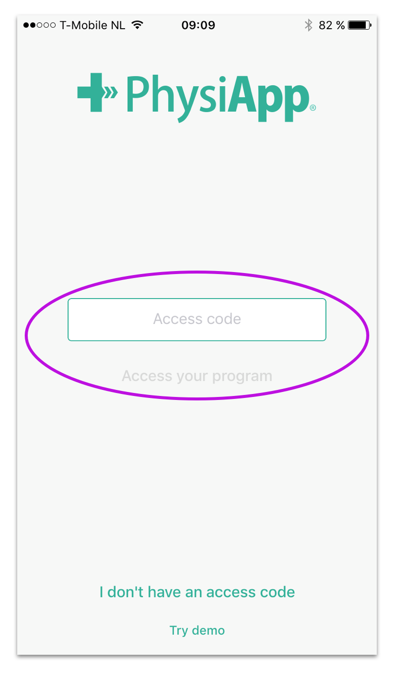 Enter your access code in the input circled below, then press "Access your program".